Yesterday FDA released the long-awaited draft guidance for 3-D printed devices. “Technical Considerations for Additive Manufactured Devices” reviews design and manufacturing process considerations for both standard-sized and patient-matched devices; software workflow (including converting file formats and transitioning from digital device design to the physical device); material controls from the starting material to recycling; and post-processing, process validation and acceptance activities. These considerations should be addressed as part of the quality system requirements for the device. The second part of the guidance details testing considerations and encompasses mechanical testing, dimensions, material characterization (both material chemistry and physical properties), cleaning and sterilization, biocompatibility and labeling. These considerations fall under information that should be provided in 510(k) submissions, premarket approval applications, humanitarian device exemptions, de novo requests, and investigational device exemption applications for the device. 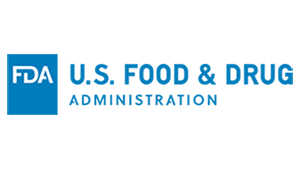 FDA points in the guidance that the draft does not cover biological, cellular or issue-based products that are fabricated using additive manufacturing technology and urges that these issues be directed to CBER. Comments can be submitted within the next 90 days.